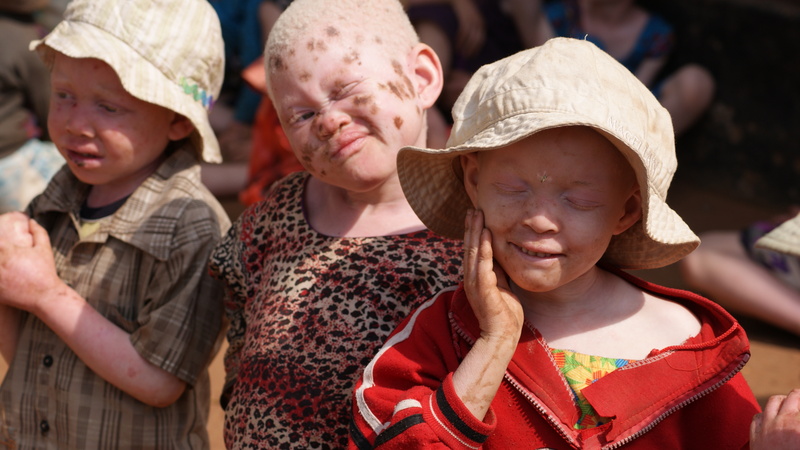 Before we left Tanzania, we became aware of a hospital in Moshi Tanzania that was established by a group of French Doctors specifically to address the problems of the PWA (People with Albinism) living in Tanzania. They are there to address the issue of the number one killer of PWA in Tanzania; Skin Cancer. Since we have been in the states we have also received word that they have developed a recipe for Sunscreen and have manufactured a large amount of the sunscreen and have distributed it among some of the PWA population. The test group will be studied closely to see how well the sunscreen works and if it holds up well. At this point in time, all the sunscreen used by PWA has to be brought into the country since it is not available in Tanzania. We are excited to follow the process of this experiment and also plan to visit the hospital in Moshi as soon as possible after we return to Tanzania. If this locally made sunscreen is successful, it will be a huge answer to prayer. We will rejoice over every person, group, denomination and country who take an interest in the Albino people of Tanzania; many hands make light the work and all of us working together can make a difference in the lives of these precious people. This entry was posted in Albino Ministry by timandjoycejarvis. Bookmark the permalink.